Klaver.. Whats a Klaver? It’s an unusual name for an online casino that put it’s focus on the European market. This Net Entertainment is established in 2010 as one of the only casinos focusing on the Dutch market. Soon they had to change towards the English language due to the fact that the Gambling Authority in Holland demands that no online casino website can offer it’s service in their local language. This was the moment that Klaver Casino started to focus on the European market and with success! Klaver Casino makes use of several software providers. The main software provider used is Net Entertainment. They have an extra software provider called Portomaso Gaming that hosts all their live games such as roulette, blackjack and punto banco. In case you are a live casino fan the live software of Klaver Casino will make you never wanting other software. Instead of playing from one of the studios in Russian countries you will be playing in a real casino where real casino visitors placing their bets at the same time. Disadvantage is no personal communication with one of the live dealers. Klaver is the Dutch name for Clover in the Dutch language, in most Scandinavian countries the Klaver symbols the classical type of piano. Seeing the big clover in the logo makes us believe that everything is about luck. 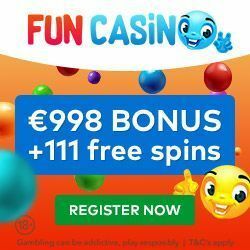 This luck can be put to the test with a 100% bonus up to 150 EUR for most European residents, including 25 spins on the famous Starburst slot. After a first deposit you will be included in several promotions such as extra bonuses and free spins with every slot release. 150 EUR bonus is not that special but the wagering is, you have to wager just the bonus amount 25 times to convert the bonus into real money. What makes these bonuses more special is the restrictions, or better said, no restrictions! There is no bet limit while playing with bonus money and you are allowed to play every single Net Entertainment game of your choice. The only way to convert the bonus to real money is by playing the Net Entertainment slots. With so many Net Entertainment online casinos on the market it will be difficult for each one of them to make proper money. Why would you play at a casino like Klaver Casino instead of an Unibet? Simple, the customer support! Every player that will create an account with Klaver Casino will be treated like a king in their casino. In the end this is the way every online casino should take care of their players, it pays their monthly wage in the end. At online casino Klaver they really understood what is needed to let players come back as of their brilliant service, this is the main reason that made me decide to place Klaver Casino on the review section of the onlinecasino1.com website. Many casinos are giving away extra bonuses while playing their games. Klaver Casino works with FPP, frequent player points. These points will be rewarded automatically for every bet placed in the Net Entertainment section of the casino. As soon as you have 1000 or more of the Klaver Points (it’s in the name), you can exchange them for 15 EUR bonus money. All games are regulated by the LGA, the Lotteries and Gaming Authority of Malta. Klaver Casino is operating under Licence number LGA/CL1/447/2008, located in level 1 of the Portomaso Business Tower in St. Julians, Malta. This licence gives you the best protection possible from a player point of view. In case there is any dispute there is always the LGA as middle man, they are very strict towards the casinos they grant with a licence.